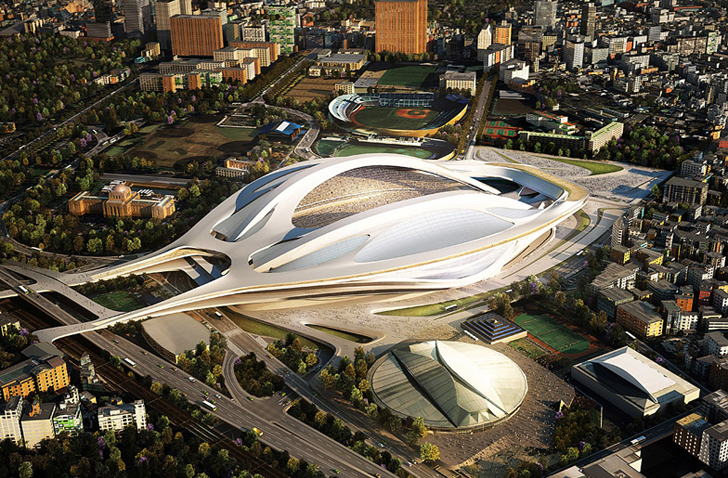 Zaha Hadid has been asked to redesign her winning proposal for the new Tokyo National Olympic Stadium due to its high cost and enormous size. Although the 80,000-seat stadium was approved by the country’s government six months ago, Japan’s sports minister Hakubum Shimomura has asked the architect to downsize the project in order to better suit the urban context in which it will be built. Zaha Hadid beat out high-profile architects such as SANAA, Toyo Ito and Azusa Sekkei when she won the competition for the Stadium back in November 2012 with a futuristic stadium that will not only derive some of its energy from geothermal sources, but also harvest and recycle rainwater. 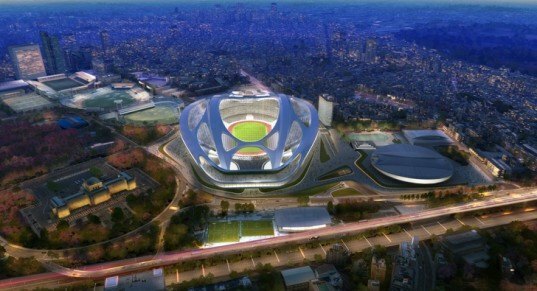 The new National Stadium will be located in Tokyo’s Yoyogi Park, near Kenzo Tange’s 1964 Olympic Stadium. Earlier this month Japanese architects including Fumihiko Maki, Toyo Ito, Sou Fujimoto and Kengo Kuma organized a symposium that called for the project to be scaled down and adjusted to better fit the site’s urban scale. The architects expressed their concern over the impact of such a huge development, though they carefully stressed that their intervention is not a personal attack on Hadid. Minister Hakubum Shimomura said that the 300 billion yen ($3 billion) budget for the construction is too massive and agreed that the design needs to be revisited to better fit existing urban conditions.